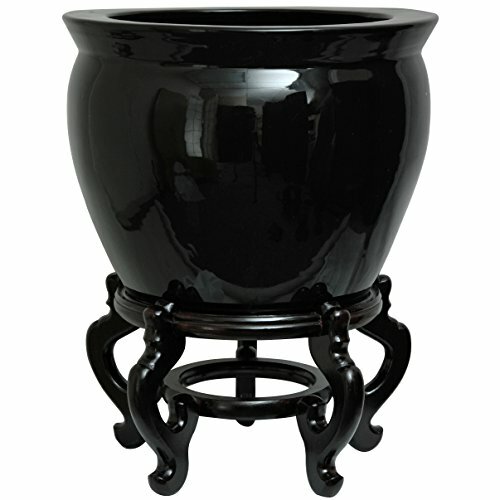 Japanese style Zen black monochrome glaze fishbowl, sized for larger house plants and small indoor trees, as well as cut flowers, silk or dry flower arrangements. The outside lip of the bowl is 14" in diameter; the opening and the base are smaller. The striking black finish accents contemporary American eclectic interior design and décor.